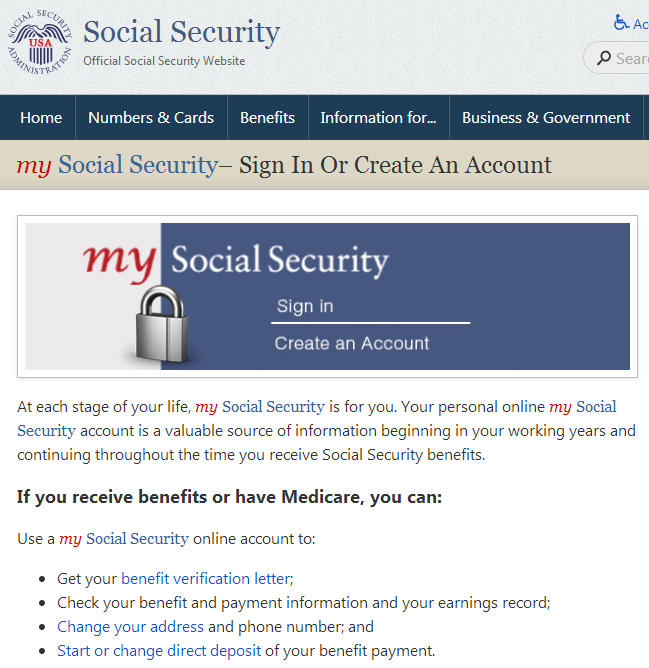 Terry Maher, general counsel for the Network Branded Prepaid Card Association (NBPCA), said the SSA has begun asking verification questions of beneficiaries who use the my Social Security portal – such as the date and amount of last deposit — before allowing the transfer of payments to a different bank account. Meanwhile, some banks with customers that have been burned by fraudulently diverted SSA payments are beginning to back away from managing SSA account payment changes for customers, Maher said. Increasingly, those banks are directing customers to make such changes at their local SSA office or at the SSA’s new portal. Maher said that’s because the government recently instituted a process for reclaiming funds that are fraudulently transferred to accounts that were not authorized by the beneficiary. “Believe me, the banks and the prepaid card issuers and program managers are looking very closely at what their process is for this now because of the reclamation rights that the U.S. Treasury Department has,” Maher said, noting that although the U.S. government has always had the right to reclaim fraudulent transfers, it rarely ever exercised that option on Social Security payments. Now, that’s starting to change in a way that’s gotten the industry’s attention, he said. The NBPCA’s Maher said the association has developed a set of best practices for the prepaid card industry to fight this and other growing forms of fraud involving government-to-consumer benefits. But he declined to discuss those best practices, saying it would give identity thieves and fraudsters ideas about how to get around them. To get an idea of what those practices might entail, I reached out to Meta Payment Systems, a major prepaid card provider and whose card network was used in SSA fraud conducted against one SSA beneficiary who recently reached out to KrebsOnSecurity. Meta says its fraud department continuously reviews the volume of incoming automated clearing house (ACH) transfers on its prepaid platform for certain types of loads. Elaine Dodd, vice president of fraud training at the Oklahoma Bankers Association, said banks usually will alert customers if the beneficiary account for SSA payments is changed. But she said those communications typically are sent via snail mail, and that many customers will overlook such notices. One small member bank in Dodd’s state recently had complaints from two different customers whose SSA payments were diverted to prepaid accounts controlled by identity thieves. Dodd said the pattern of fraud associated with these recent attacks on SSA beneficiaries mirrors the type of fraud being perpetrated in other types of government-to-consumer fraud, particularly tax return fraud. Creating a my Social Security account to prevent this type of fraud is a good safeguard, but it’s also important not to introduce new threats in the process. Namely, if you’re not sure about the safety and security of your computer (or the computer used by a loved one who may be worried about this), make sure you start with a clean system before entering all of that sensitive information online. If your friend or relative needs to take care of this, consider helping them set it up using a Live CD. This approach can let anyone enter information online safely, even from a machine on which the hard drive is already infected with malicious software. Anyone interested in additional stats on SSA fraud should see the testimony that the agency gave to Congress in June 2013. This entry was posted on Wednesday, September 18th, 2013 at 8:53 pm	and is filed under A Little Sunshine, The Coming Storm, Web Fraud 2.0. You can follow any comments to this entry through the RSS 2.0 feed. Both comments and pings are currently closed. This is going to happen more often as government agencies do business online. The Obamacare health exchanges are going to be a nightmare. What are you basing this statement on? Do you have knowledge of how the exchange is going to process PII? Seems like a comment based your opinion of Government agencies in general. Do you even know what the exchange will be providing to the folks who decide to use it? It is not a government benefit program, it is a mercantile based selection system which provides private health care offerings to people who decide to use it. It is not a mandatory system that requires everyone to register. With groups on all sides spreading misinformation (if not outright lies), confusion and ignorance is inevitable. Never thought that *not* having an account somewhere could be a risk but it seems it is. I heard that it’s actually a good idea to create Facebook account even if you don’t use it. This also prevents someone from acting like you. FaceBook allows for many accounts with the same name. Unless you have a very unusual name, chances are there are already several accounts with your name. Having a FB account will not prevent anyone from using your name and acting like you. It’s the information associated with the name – photos, birthdays, etc – that identify you on FB. I’ve had a dozen people try to create a Facebook account for this email address. The only advice I’ve received to counter this really annoying process is to associate it with a Facebook account. Note that eventually people will start hacking existing mySSN accounts by relying on password resets and similar. Today since there are proportionally few claimed accounts, it’s cheaper to hack (socially engineer) the account creation side. MB is great, but the real lesson to be learned is that you should rely on more than one program to provide protection. While miscreants may block themselves from being detected by one program, they often won’t block themselves from all programs. For decent performance you should only have one real-time scanner running and rely on the others for manual/scheduled scans. You can have more than one real time engine going at the same time – it is just that they need to use different or overlapping technologies; the only way to know for sure is carefully examining the event viewer for errors. Needless to say using more than one AV or firewall is inadvisable unless you know what you are doing. Passive real time protection can be used as much as you like, and still help on the blended defense. I use Avast and MBAM together, because one is primarily an anti-virus(and greyware), and the other an anti-malware solution. I actually have several anti-malware running at the same time, but they all use different science, like host files – registry hacks – and browser blocking settings. I never have trouble with slow performance, errors, or CPU/RAM hogging. My clients have few problems, if they update their free stuff regularly. While I truly hate making it any easier for the government to intrude on my life, I guess this is important. And what is with the question about domestic abuse on the first page? What does that have to do with SS benefits? Thanks Brian once again for your important help. Maybe the SSA uis more concerned about physical extortion of their hard earned money than making the site secure. One has to remember that the older folk may not be able to defend themselves and manipulation is poison for them. Some may have to unwilling to hand over their sole income to a vile relative, roommate or caregiver. Maybe that simple question will aid, somehow, in making the issue right, over time. Thanks, Brian. I’ve passed it on to friends with parents who are in the target group. Some of the them resist change, but it’s nice to have the information. There have also been SMS phishing attacks aimed at users of Social Security Direct Express debit cards. We’ve seen them in low volumes for a couple of years, but they ramped up in April of this year. Here are some typical messages that were forwarded to 7726 (the GSMA’s Spam Reporting System). Since all Direct Express cards begin with the same string of numbers, the spammers can include this to make their texts seem legitimate. Andrew Conway, Research Analyst, Cloudmark Inc. When I signed up for social security, I used the SSA website and was frustrated that it only allowed an all numeric password. When are they going to get realistic and allow for alphanumeric special character upper & lower case components of the password. It depends on the age of the individual who is creating these accounts, I guess. I think it would be easier to remember some numbers than trying to remember what password you have entered in. But the crooks know that the elderly will probably use their SSN, Phone Number, House Number, DOB or combinations of those to come up with a numbered password. I think the lockout should be set to 10 tries, that seems like a fair amount for the elder-folk. Those that are on SSA – at least the vast majority, are probably on the fringe when computers were coming online, so its tough to tell whether they have much skills on the PC. So keeping it simple for them may be the right way. Just make it the requirement 11 or more numbers, so they cannot simply enter thier phone number in and think they are safe. After this article SSA fraud will rise 5000 % guarantied , all thanks to Brian 🙂 He always brings new ideas to the masses .Respect . Yes it is much better to not cover it and let the issue persist because they don’t feel it merits enough attention to fix it… Security through obscurity eh? He is actually educating how people not to fall for any scam / fraud online. The master-minds in the online crime a way ahead of Mr. Krebs. Also it is showing a real example of a working scam. Today I tried to access http://www.ssa.gov/myaccount and setup an account, and was informed that it could not do it. I also tried logging in with my original name and the number – again no luck. Have they shut this down? I am 68 and use direct deposit. Thanks Brian. Really enjoy your column. Still doesn’t work for me…. Sure don’t want to sit on the phone. There is certainly nothing weird about me. Brian, I suspect my problem is because I have credit checking blocked. This is becoming so common, they should pass on the error. And make it known up front. Now I have to go pay to unblock, if only I knew WHICH credit site they use! I went there too, but used an independent link in another search. Despite having a previous account they acted like they never heard of me. I had them send my a temporary code in my email so I could recover the account. After answering some pointed questions and redoing my security questions, I had success. I think they assume it is safer to just blow away the old account links and start over to be completely safe. I can’t really blame them. I was impressed with how they refuse all but the most secure passwords now.They have definitely ramped up security over there, compared with where they were two years ago. Same with me. Login doesn’t work, no account found. I used it initially to set up deposit accounts but that was 3 years ago now. Looks like they just blew the accounts away. I do not have my credit files locked. Could be that not using it for some period of time gets it removed. All payments have been regular as clockwork. I had the same thing happen to me. When I contacted SSA about it they said Experian has a fraud hold on my credit report, which tells us a couple of things, good things I think. One is that SSA is cross-refing new account creation attempts with the credit bureaus, and another is that the credit bureaus are actively policing the reports in their custody and placing fraud alerts on some or all of them. I still need to look into that and decide if I want Experian to lift the fraud alert so I can create an SSA online account. After reading this article I think I’d better get on that right away. I just went to the portal – and it’s only open from 5AM to 1AM Eastern Time. Well, it’s 12:20 AM Pacific Time here, gov. It’s a WEB SITE. Stay open 24 hours! I’m also waiting to see what sort of “verification questions” they use, since it’s almost trivial for anyone with a social media presence to have given out most of those answers already, for hackers to slurp up and use. Simple solution: DON’T post those kinds of things on your social media account, and/or DON’T use question/responses that are about the information you have posted. I sometimes make up fantasy responses (and record them so I know later what they are), for websites who don’t offer anything but the most common sort of verification questions. I’ve found that one cannot register if one does not have a US mailing address. Having read the foregoing comments, I assume that’s because there is no record of me at the credit checking bureaux. Why should I, and others in the same situation, be left exposed? And in the always-on-top-of-things-when-it-comes-to-security department: The link bandied about for this service is http://www.ssa.gov. Since this is a site at which you’ll be entering important personal information, it’s prudent to connect to it using https. But … https://www.ssa.gov produces and “invalid certificate” error, because it serves up a certificate for http://www.socialsecurity.gov. There are a number of ways to fix this, and I won’t attempt to advise on the best approach. But it’s clear that the administrators of the Social Security site need to work a bit harder in setting it up.